Part of the Ashkenazi Jewish tradition, klezmer is the music that was played at Jewish weddings and other communal ceremonies in the Old World of Eastern Europe leading up to the Second World War. The word klezmer itself can be divided into two Yiddish words, ‘klei’ (meaning vessel) and ‘zimmer’ (meaning song). Although we know this music as ‘klezmer’, originally the term was used to describe the musician playing the music rather than the genre itself – “play that music, Klezmer!” or Shpiel Klezmer Shpiel. Many practitioners of klezmer liken its technique to making one’s instrument ‘speak in Yiddish’ and like all folk genres klezmer has its own set of ornaments, traditional forms and rhythmic patterns. Early bands consisted of four to eight musicians with sometimes two or more violins serving as the lead instruments. The accompanying ensemble or kapelye typically included one or more sekund fiddles (playing rhythmic chordal lines), a tsimbl (hammered dulcimer), flute and bass. By the 19th century the ensemble had expanded to include the brass instruments that Jewish conscripts had played in Tsarist army bands, but it was still led by the prima violin. Indeed, the band was often known by its first violinist’s name, and he was paid extra for the privilege. Few of the musicians had received formal musical training, yet many were virtuoso artists with established reputations. They performed primarily at Jewish weddings, which could last from two to eight days, and at other major festivities of the Eastern European community. They played at the courts of chasidic rebbes and provided entertainment also for non-Jews, especially the rural aristocracy. They even appeared at the court of the Austro-Hungarian Emperor Franz Joseph. The bands’ diverse repertoire for celebrating Jewish festivities included the stately Dobri Den that welcomed guests on the morning of a wedding, the tear jerking semi- improvised solo obligato passages played during the veiling of the bride and the foot stomping freylekhs and other whirling frenzied dance tunes that went on late into the night. 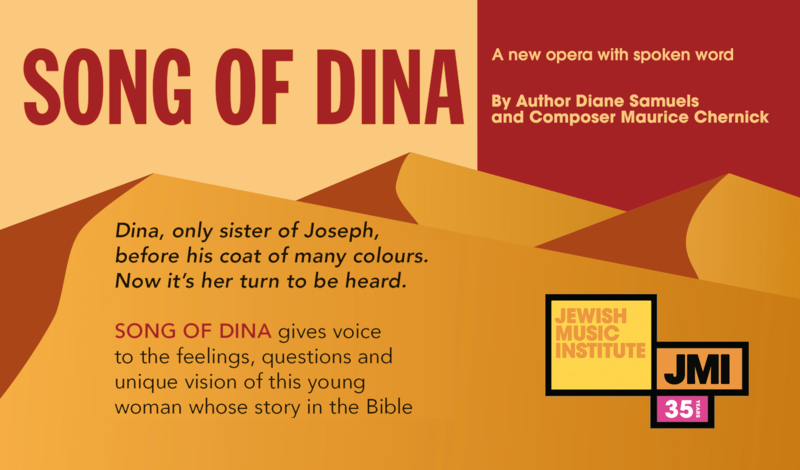 The repertoire also included instrumental versions of popular Yiddish folk and theatre songs and chasidic and semi-liturgical music. They were also required to know the music of non-Jewish local people and of gypsies, popular traditional dances and even some classical pieces for when they performed for the aristocracy. With the large-scale Ashkenazi migration to America during the late 19th and early 20th centuries, the music expanded to encompass jazz big band influences and the clarinet came to dominate klezmer music, characterizing the Lower East Side sound. A klezmer ‘revival’ began in the USA in the 1970s with musicians such as Andy Statman, the Klezmer Conservatory Band and Brave Old World and has since grown into a vibrant global scene. Klezmer is a core element of JMI’s activities from the annual Klezmer in the Park event in Regents Park to workshops and Summer Schools including Klezfest London. Over the years, JMI has brought the leading lights of the world klezmer scene to the UK from Frank London’s Klezmer Brass Allstars to Brave Old World, from Budowitz to the Strauss Warschauer Duo. JMI has also been instrumental in the creation of new klezmer bands including She’koyokh, formed at JMI Klezfest London, who went on to become one of Europe’s preeminent groups with a busy touring schedule to match. For over ten years KlezFest London has offered an intensive one week workshop in klezmer music for all levels of instrumentalists from amateur to professional. JMI has brought together an esteemed international faculty each year. Artistic Directors of the festival have included Dr Alan Bern (Piano/Accordion, Berlin) and Frank London (Trumpet, New York) as well as other members of the most renowned klezmer bands such as the Klezmatics, Brave Old World, Budowitz, Veretski Pass, Strauss/Warshauer Duo, Khupe and Klezmer Alliance. 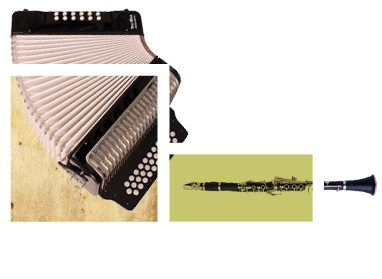 KlezFest offers entry-level classes for beginners as well as detailed study into style and repertoire, master-classes for professional groups and live performance and jams each night of the course. JMI regularly organises concerts and klezmer workshops outside London. Sign up to our newsletter to receive monthly updates. If you live outside London, there are lots of exciting events on offer. In Manchester, we currently support the Michael Kahan Kapelye, taught by clarinetist Ros Hawley at The University of Manchester Music Department. For more information contact Dr Richard Fay. This site will provide you with all the backstory to The University of Manchester’s klezmer activities as well as listings of performances and ensembles and resources. Listings for the NW-based (and beyond) klezmer activities. “Klezmer in Manchester: people and passions” documentary? The enthusiastic Kleznorth team organise intensive weekend workshops in Youlgreave, Derbyshire for keen klezmer musicians of all abilities. 2012’s event was a celebration of the 1912 Recordings of Belf’s Rumanian Orkester, with guest teacher clarinetist Christian Dawid (Berlin). More information at Kleznorth. Jim Markovitch was an exuberant accordionist, songwriter and founding member of She’Koyokh Klezmer Ensemble known for his great character and musicianship. Jim sadly passed away in October 2008 at the age of 34 after a long battle with non-Hodgkin’s Lymphoma. Jim’s life is celebrated and remembered every September at a Festival in Sussex, Jim Fest, organized by members of She’Koyokh and Jim’s wife Jenny. Michael Kahan was a gifted violinist and although he discovered klezmer later in life, he quickly became a great player. He was a regular attendee at KlezFest and formed Klezmer Gourmets, a klezmer duo with clarinetist Ros Hawley. Michael was tragically stabbed to death near his home in Manchester in June 2008. 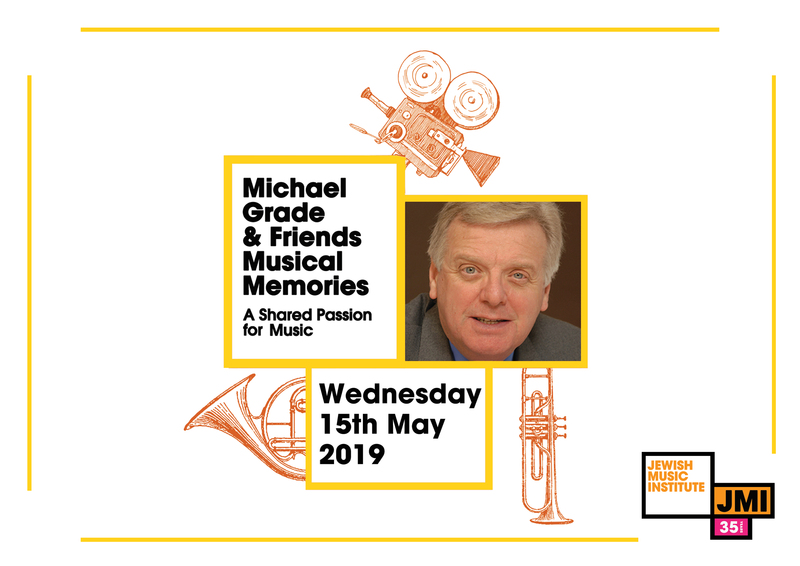 He is remembered by all his friends, family and the klezmer community and his name lives on in Manchester University’s Michael Kahan Kapelye.